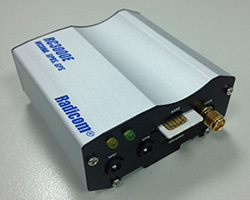 The RC3000, 3G Modem, is the perfect solution for integrating CDMA applications into many different types of embedded hosts or remote equipment. 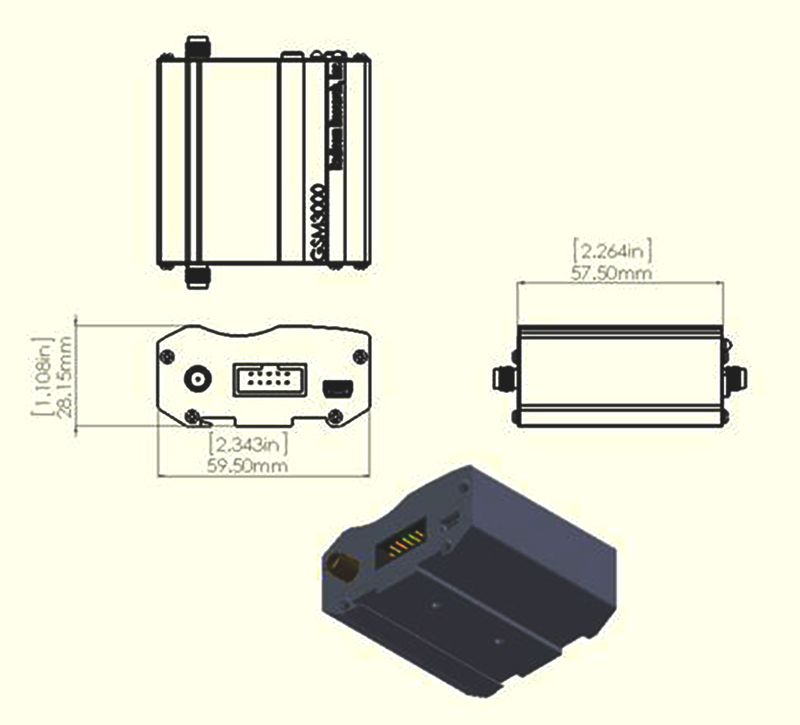 The RC3000 family is fully self-contained and requires only a serial TTL interface from your product, a SIM card and cellular signal access to provide you with state of the art Data, Fax, and Voice operations. Small size, measuring 2.3” x 2.3” x 1.1” (H), 4 oz. Information furnished by Radicom Research is believed to be accurate and reliable. However Radicom Research assumes no responsibility for its use, or any infringement of patents or other rights of third parties which may result from its use. Radicom Research reserves the right to change circuitry at any time without notice. This document is subject to change without notice. The information contained herein is subject to change without notice. Logos, trademarks and copyrights are property of their respective owners.